In 500 Days of Summer, Tom had his expectations not live up to reality when he meets Summer again. The rooftop scene perfectly depicts how demoralizing reality can be when your expectations are out of whack. Search engine optimization is no different when reality does not match expectations. In today’s blog post, I’ll share some hard truths about SEO and how to better align your expectations with reality. 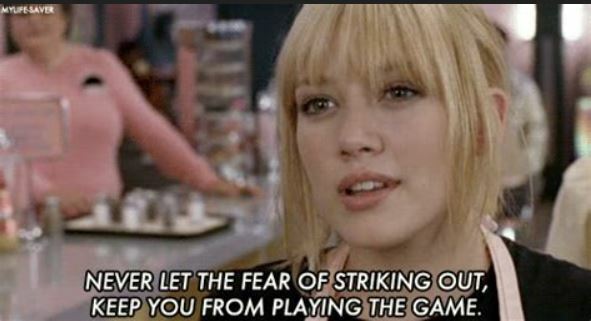 “Never let the fear of striking out keep you from playing the game,” is a quote that everyone can live by from Hilary Duff in A Cinderella Story. Back in early 2015, I was an SEO specialist at Grasshopper. One of my tasks there was to come up with a new content guide for the website. The guide that I chose to create and development was about call tracking for businesses. It was a bold move as the data from Google Trends was stagnant, the search volume was low, and not many people were talking about this topic on social media. Regardless, I pushed the project forward from concept to development with the expectation that this would break new ground. I was convinced that I was going to have this piece of content go viral and shatter all expectations. With the release of this guide in late 2015, I remember feeling like a complete failure. I thought I was going to break new ground with this guide, but it released as a whimper. Nobody on Twitter seemed to care that this guide just came out, so that made the feeling even worse. 2015 was “meh” at best regarding organic traffic for this guide. While writing this blog post, I decided to look at the results on Ahrefs to see if the narrative changed. It took time for this content to grow in traffic, but this guide now is driving a substantial traffic each month. This guide was a risk, but it was one I was happy to take. As a toll-free number company empowering entrepreneurs with their business, I thought that this content would be useful. The story above from Grasshopper is a perfect example of how SEO takes time to see results. Sometimes results come in a month, other times it can take years. It’s frustrating because you may feel like the work that you are doing is going nowhere, but you have to keep grinding and doing other optimizations on your website to eventually see success. This picture below is data directly from Google Analytics for TM Blast. The data shows that it took many months of no growth in organic traffic to finally start growing in consistent traffic. Some ways to keep the mind positive is to set up weekly keyword tracking so you can spot positive trends. One example of a positive trend is moving a keyword position from page ten to page five in Google. You won’t receive any additional traffic, but positive signs should act as encouragement for you to continue. The keyword tracking tool I use for daily keyword tracking is SEMRush. There is a theme within this blog post that SEO takes time to see results. 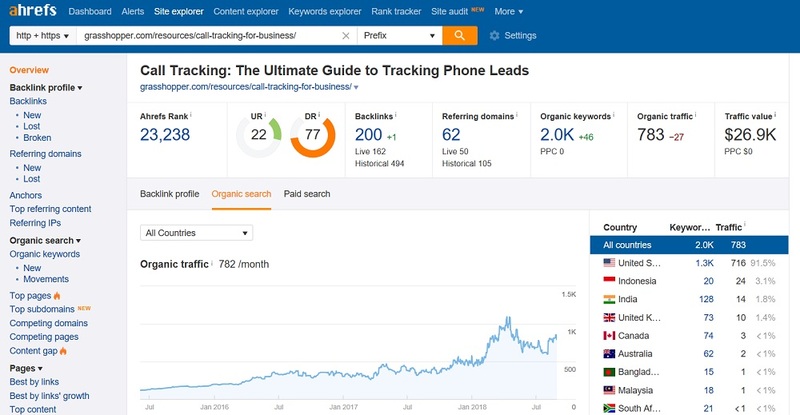 Let’s take that call tracking guide example and pretend that I was given one month from a client to come up with a winning blog post. The client and I spend that month working on the guide, publishing it, and then I get fired because it did not go viral. The expectation from the client is that this content will drive immediate traffic, but the reality shows no change. Expert SEO would include a plethora of other optimizations for the website along with this guide creation. Speed improvements, backlinks built, competitor research, and more could indirectly help this guide rank faster within Google during the next few months. Asking someone to do SEO on your site one time is equivalent to someone cutting your grass one time during the summer. Sure you got your lawn mowed, but reality will set in that this will need to be an ongoing process. If someone promises you fast results that are cheap, you can assume the outcome won’t be spectacular. The emails and phone calls all promise quick and cheap results for SEO. The kicker is that there are no long-term contracts, so it sounds beautiful. The expectation is that I can get great SEO results for little money, so the risk is minimal. Reality will come in though as you effectively just gave away money that ultimately did nothing for your website. As marketers, we have this insane craving to know every detail on a marketing strategy. How much did we spend to get that customer? What was the keyword that drove the sale? Why did that potential customer drop off the funnel? The questions are endless, and the demand for answers are frequent for clients, managers, and directors. With SEO, I like that there is a level of serendipity when it comes to results. Google is using machine learning to showcase results, so nobody knows for sure what allows one result to rank over another. We may have hunches based on tests and data, but the exact answer sometimes can’t be answered. 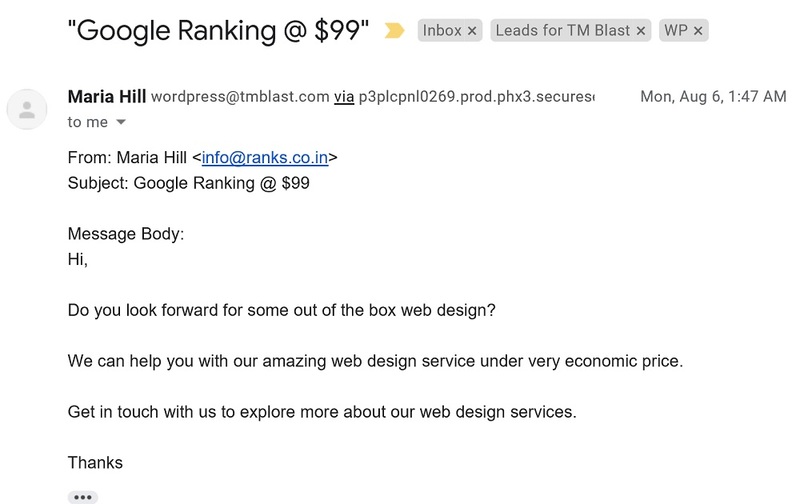 If you expect to rank for a keyword because it’s in your title tag, I have some bad news for you. SEO today is insanely complicated compared to the mid-2000’s. Gone are the days of meta keywords where you can effectively spam your page with keywords with the hope of ranking the page in Google. Today, you need to have a solid foundation with technical SEO if you want to see success. You have to understand if a meta tag is blocking Google from indexing the page, if a confusing canonical tag exists, and if the content can’t be seen because it’s in an I-frame. The best keyword research in the world won’t mean squat if Google and Bing are unable to understand your content which means it won’t rank. If your focus is 100% Google for SEO, I’ll ask you what the “S” means in SEO. It’s not called “GEO,” but instead, it’s called SEO which means more than one search engine. That means that there are elements on your strategy that need to work for other search engines like Bing. Bing powers about 20% of the U.S desktop market share. Bing powers the organic results for Yahoo and AOL, so the search engine is more significant than you think. TM Blast receives more than 30% of its organic search from Bing each month because I take the time to optimize for all search engines. One tip to rank better in Bing is to have a clean sitemap on your website. Bing does not tolerate a dirty sitemap, so taking out the extra time to audit your sitemap can pay off with more traffic from Bing. Since the traffic is free just like Google, you should be looking for ways to maximize your SEO for whatever engine people use. Moving away from traditional search, we have devices and services that encompass the power of voice search. 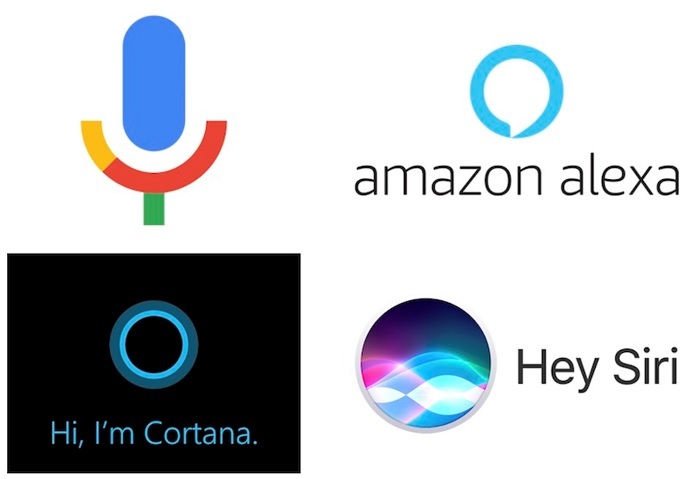 Services like Amazon Echo, SIRI, Cortana, Google Now, and more are examples of voice assistants. One way to optimize the website for voice search is to answer questions directly in the content. Expecting that low search volume keywords are not worth your time will shock you in reality. Google see’s about 10-15% new queries each day, so no tool will be able to keep up with exact search volume. Sometimes Google blankets a default search volume metric to keywords, so you can’t only go off that metric. If the search terms are relevant to you and your business, you should optimize for them. The expression that I like to think about is death by a thousand paper cuts. One keyword with ten searches per month may not be a lot, but hundreds of ranking terms with ten searches per month will drive traffic. I could keep writing about more hard truths about SEO, but I want to stop here. Tom from 500 Days of Summer had his reality come crashing down when his expectations were out of control. Don’t be like Tom in 500 Days of Summer by not knowing what you are getting into. 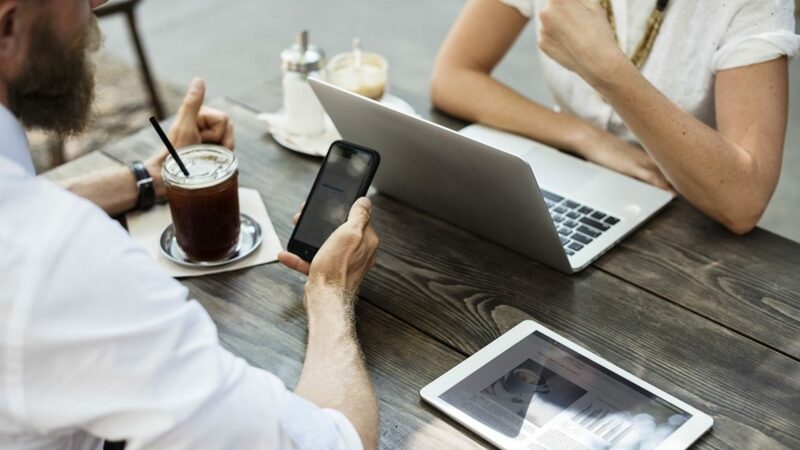 Instead, you should invest the proper time, mindset, and money into organic search because it can utterly transform your business for the better. As a note, everything worked out for Tom in the movie, but I won’t spoil what happens with his expectations and reality.